During the Game Awards on Thursday night, a new trailer was shown off for Halo Wars 2. The cinematic trailer explores the story of Atriox, a Brute commander of Halo Wars 2’s new foe, the Banished. Before airing the trailer, 343 Industries’ Dan Ayoub announced that Halo Wars: Definitive Edition, a remastered version of the original Halo Wars, running natively on Xbox One and Windows 10 PC. Codes for Halo Wars: Definitive Edition will come with preorders for the sequel’s Ultimate Edition and will be made available starting December 20. 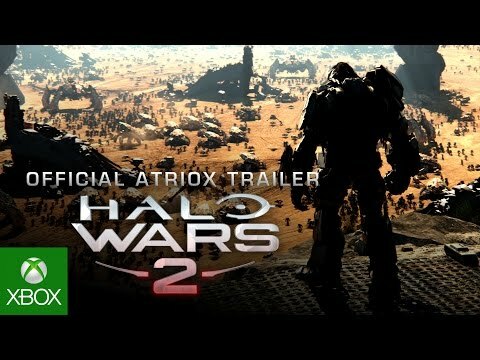 Halo Wars 2 comes to Windows 10 and Xbox One on February 21, 2017.